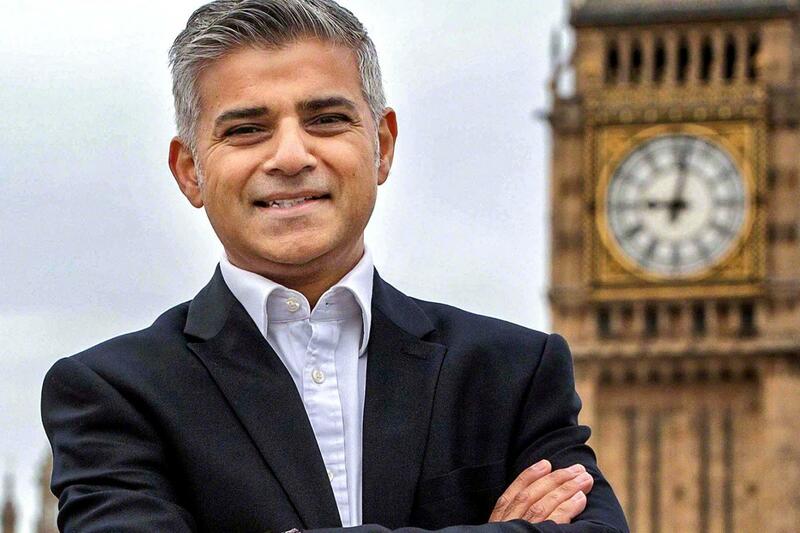 Referring to his council estate roots, Mr Khan, the city’s first Muslim mayor, said he wanted all Londoners to have the same opportunities he has had. It comes as Defence Secretary Michael Fallon defended Conservative Zac Goldsmith’s campaign, describing it as the “rough and tumble” of politics. The much-criticised campaign questioned Mr Khan’s alleged links to extremists. 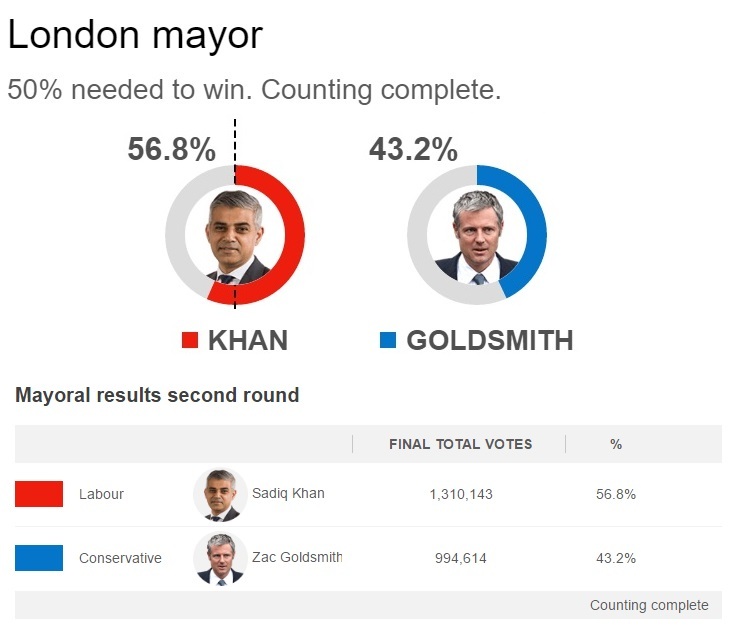 Mr Khan beat Mr Goldsmith, by 1,310,143 votes to 994,614, giving him a larger personal mandate than either of his predecessors, Boris Johnson and Ken Livingstone. He has announced he will step down as MP for Tooting, meaning a by-election will be held to elect a new representative in Parliament. The former Labour minister’s victory in London ends eight years of Conservative control of City Hall. It has also given a boost to Labour after its poor performance in Scotland’s election which saw it slump to third place behind the Conservatives. 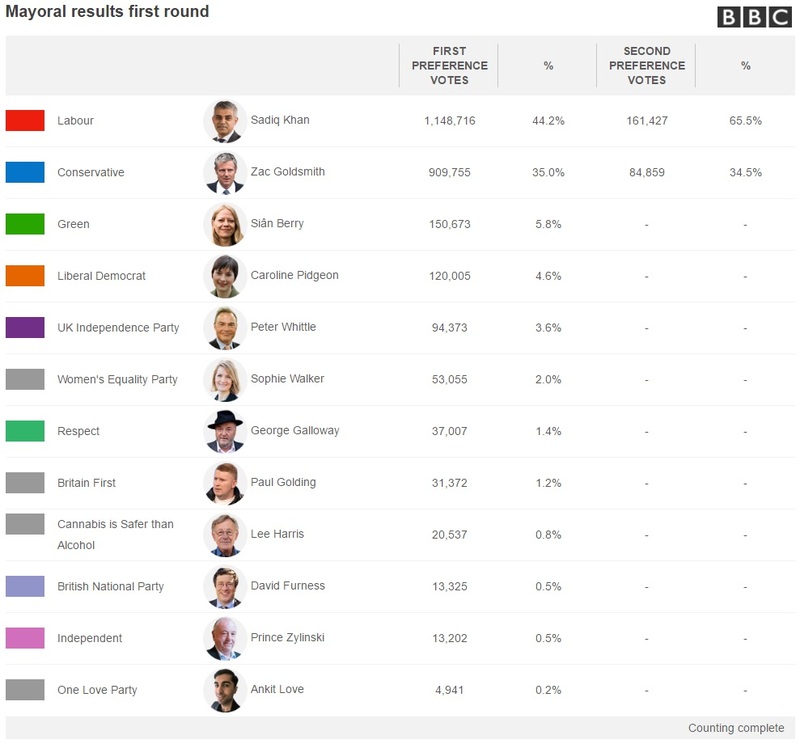 Following on from its London success, Labour has also won Bristol’s mayoral contest, with candidate Marvin Rees beating the incumbent, independent George Ferguson, by a comfortable margin. But Mr Corbyn was absent from Mr Khan’s swearing-in ceremony earlier on Saturday. Click image below to enlarge for better viewing. Click your return arrow to return to this topic.